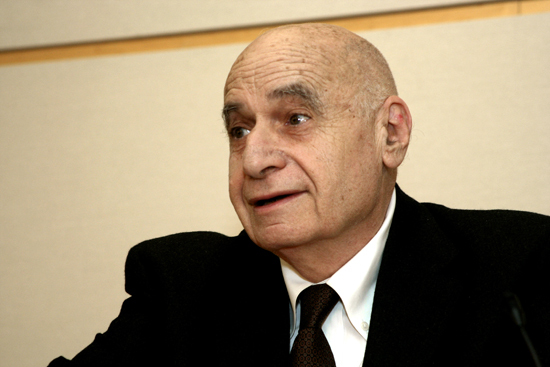 Peter Berger, a sociologist of religion, unlikely culture warrior and founder of the Institute on Culture, Religion, and World Affairs on Boston University, died on June 27. He was 88. It was in 1969 that Berger’s A Rumor of Angels: Modern Society and the Rediscovery of the Supernatural came out. In it, he defends an individual’s decision to retain a spiritual orientation in the face of rampant, and inevitable, secularization. “Whatever the situation may have been in the past,” he wrote in the book, “today the supernatural as a meaningful reality is absent or remote from the horizons of everyday life of large numbers, very probably the majority, of people in modern societies, who seem to manage to get along without it quite well.” Despite that dour prognosis, he argued that it was a mistake to ignore these “signals of transcendence” or deny their ability to describe the world for some people. The religious impulse, the quest for meaning that transcends the restricted space of empirical existence in this world, has been a perennial feature of humanity. (This assertion is not a theological statement but an anthropological one – an agnostic or even an atheist philosopher may well agree with it.) It would require something close to a mutation of the species to finally extinguish this impulse. The more radical thinkers of the Enlightenment, and their more recent intellectual descendants, hoped for something like such a mutation, of course. Thus far this has not happened and it is unlikely to happen anytime in the foreseeable future. Peter Berger was born to a Jewish family in Vienna on March 17, 1929. While his family converted in 1938, the same year that Nazi Germany took over Austria, their newly acquired Christianity offered them no protection, and they survived the Holocaust after spending World War II in British-run Palestine. At the war’s end Berger, age 17, emigrated to the United States. He attended college in New York, first at Wagner College and then at the New School, where he matriculated amid the great influx of European social scientists who fled to the U.S. before the war. He served with the U.S. Army for two years and taught at East Coast universities like Boston College, Rutgers and the Hartford Seminary Foundation. In 1959 he married Brigette Berger, a then a sociology student from an anti-Nazi family who he first met in Germany and later again in New York. Brigette went on to become a prominent sociologist; their marriage only ended with her death in 2015. The other one is that sociology for many has become an ideological instrument, mostly advocating various countercultural or left-of-center causes. If a science becomes simply advocacy, it ceases to be a science. Throughout his career Berger proved a prolific author of important texts on sociology, theology – and humor. (“He had an astonishing memory and verbal faculty for joke telling, typically related in a dead-pan manner but with a trademark twinkle in his eye,” Hefner recalled.) Among those many volumes, The Social Construction of Reality, co-authored with his life-long friend, Thomas Luckmann and released in 1966, remains at the top of the heap. The International Sociological Association named it the fifth most influential sociology book of the 20th century. Berger’s work is a synthesis of sociology and theology in the sense that he has been committed to understanding the relevance of sociology to the human condition and the dilemmas of modern society. Within this synthesis of ethical and sociological perspectives, the concept of theodicy has played a central role. Within theological discourse, it is concerned with the problem of explaining the contradiction between the existence of evil and the nature of divinity. If God is all powerful and merciful, how can evil exist? Berger has transformed this theological question into a powerful sociology of knowledge that is concerned with how the social world can be justified or legitimated. In 1981 Berger joined Boston University with a remit that spanned sociology, religion and theology. In 1985 he founded the Institute on Culture, Religion, and World Affairs in 1985, and served as its first director until 2009. As Hefner, who was Berger’s associate director and would follow him as director of the institute, noted that under Berger the institute promoted more than 140 research projects in 20 countries, resulting in 130 books. 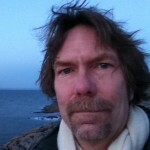 This entry was posted in Impact, News and tagged Passings, Peter Berger, Sociology, Sociology of Knowledge, Theology. Bookmark the permalink. Post a comment or leave a trackback: Trackback URL.